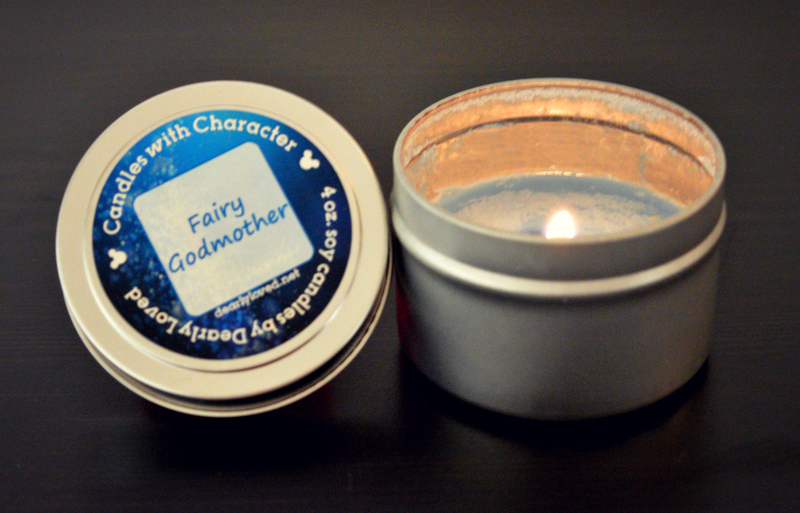 Candles With Character from My Dearly Loved is a line of candles and wax melts inspired by Disney characters and stories. I’ve reviewed so many of these wonderful wax goodies before and I have always been so impressed with them. You can see all my previous reviews HERE. With a little “bibbidi bobbidi boo”, the Fairy Godmother will have you ready for the ball in no time! I love citrus scents, they’re so bright and uplifting and I found the sweet pomegranate sort of mellowed out the tartness of the citrus elements. This was a real lively fragrance and had a sort of effervescence to it. All Candles With Character candles are made with soy wax (as are the wax melts) and are hand poured into a lidded and footed tin and crafted with quality products. I’ve found with every candle I’ve had from My Dearly Loved that they burn so well, so clean and so evenly and they just have a scent throw that is second to none. I always keep my wicks trimmed so that I can get the most out of them, if you do that I’d say you’d easily get 20+ hours out of one of these 4oz. candles. Stay tuned for more review from us. The “bubbly” smell is what I love most about Fairy Godmother. Thanks so much for your review, as always, Sam!